You can divide the world into two different kinds of people: “river people” and “lake people.” You will be most fulfilled, and your marriage will be happiest, when you learn to become one of the river people. The new temple that God promises to rebuild will have a river of living water flowing out of it. It will produce food and even be a source of healing. It won’t be a stagnant body of water—a lake that simply serves those right around the temple. On the contrary, streams of living water—a river—will flow out of Jerusalem into the surrounding desert. We sometimes forget that the Bible was written in a land surrounded by the desert. Rivers and water are symbols of God’s grace that brings life and refreshment. You could have a barren wasteland that, once it is irrigated, springs forth in glorious vegetation. Many of you have played on some amazing golf courses in California and Nevada that, absent water, would soon resemble the barren landscape that surrounds them. We are called to become channels of God’s living water flowing freely through us to refresh others. We weren’t created to be stinking, mosquito-infested lakes. We’re called to be rivers of life. And learning to cherish our spouse turns us into the kind of people who learn to submit and surrender to God so that his Spirit flows through us without limit. With God as our source, we don’t expect the desert to irrigate the river. The river never says to the desert, “Hey, when are you going to start doing something for me?” The river spills into the desert and brings life wherever it goes. What if the challenge of learning to cherish our spouse, even an imperfect spouse, is one of God’s ways of shaping us into river people who give, instead of lake people who simply demand and take it all in? If we truly want to be like Jesus, like so many of us say we do, we can’t forget that he said “It is better to give than to receive.” Jesus also said the Son of Man came not to be served, but to serve. In Genesis 12, Abraham was told he was being blessed so that he could be a blessing. And Israel’s call as a nation was to receive God’s favor so that his favor could one day spill out as a light to the Gentiles. You can’t find a “lake” mentality in the Bible—taking all the water in, letting nothing out. It just doesn’t exist. It’s all about being a river. When the river stops flowing, the city dies. At its height of power and influence, Rome boasted one million citizens. By the 12th century, it was down to 20,000. From one million to 20,000. That’s an astonishing fall. Volumes have been written about what happened, but the reality is rather simple: the barbarians destroyed Rome by destroying the aqueducts. 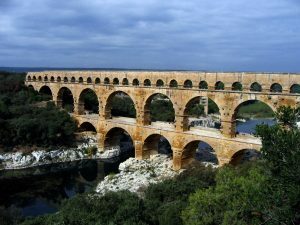 Most cities in the centuries prior to and after the first century were decimated by the plague, but Rome escaped the worst of this disease because it had plentiful water running through the aqueducts. By taking out the aqueducts, the barbarians effectively made Rome a miserable place to live. When you don’t have fresh water running through your heart and marriage out into the desert; when your life isn’t “We love because he first loved us” (1 John 4:19) but is rather, “When are you going to irrigate my desert?” then you’ll live with contempt. Your marriage, like Rome with its stopped-up aqueducts, will become a miserable place to live. You were created to be a river, letting God’s Spirit flow through you into the desert, not a lake. Learning to cherish your spouse is learning to be a flowing river. A river is active, constantly moving, receiving from God and letting out to others. So the call to cherish our spouse is a call to become what God created us to be: it trains us to view ourselves as river people, not as lake people. Receive from God—every day, multiple times a day. Be blessed by Him so that you can be a blessing to others, beginning with your spouse. Then, together with your spouse, be a river of blessing to your community. Don’t curse a desert for being a desert. What else could it be? Instead, be a channel for the river of life to make that desert (a spouse, a friend, a community) come alive. When the human heart physically is pooled in its blood instead of moving the waste into the lungs and the fresh oxygen rich blood out to the extremities, the diagnosis is death. Only the Spirit of the Living God can revive the plan of God in us. Admit to the Father we are in the state of Lazarus and we need His fresh visit of grace to even exist again. Jesus is Eternal Life here and now. Thanks for pointing out this flow pattern which I have been exploring for years but to which I have seen very few references. I see it in “For from him and through him and through him are all things. To him be the glory for ever! Amen. Romans 11:36 Also in “Freely you have received, freely give.”Matthew 10:7-10. The vine and branch..John 15. What peace, joy, to stand in the flow! Receive well, give well! Once, when I was a new Christian, a Christian friend came to visit me, saying she is frightened to communicate her faith (we lived in a Arab country where she was from, a country where native people were constantly spied on), that she feels suffocating. I then realized what Gary speaks about, that faith certainly is like a river, coming from God and flowing through us to the others. What an impossible situation to live your faith without a possibility to freely and joyfully share it! 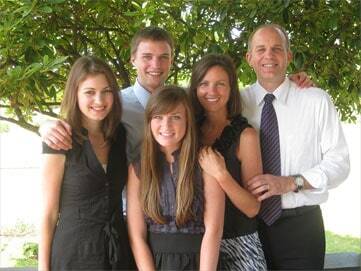 This friend’s need to share her faith was so imperative that she left the country. Thank you, Gary for the important point! Amen! He wants to smooth out the edges in our life so we can be used to His fullest potential. Great word, Gary! 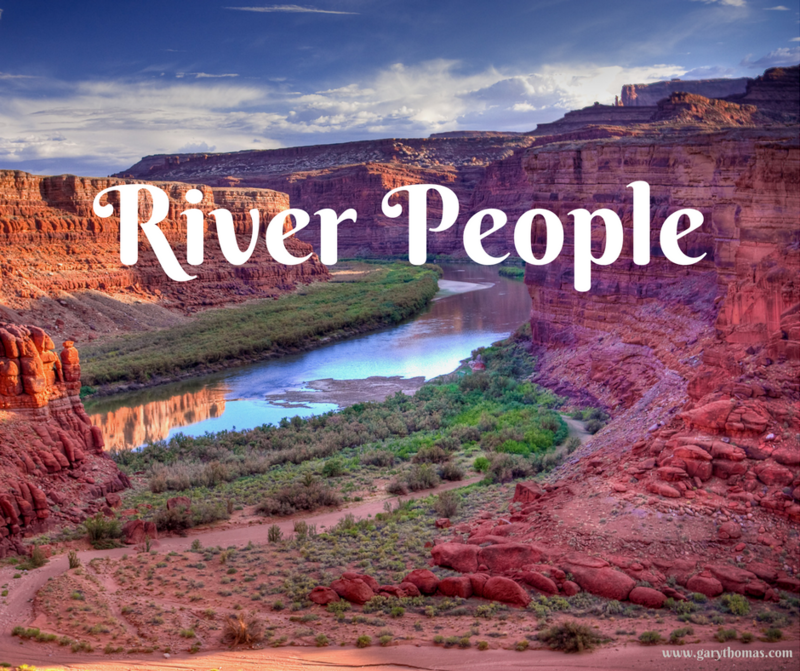 The promise of rivers in the desert is something I pay attention to, I feel it is a special promise to me with reference to my husband’s heart toward God and a promise for spiritual fullness and partnership in our marriage. We have been married 33 years and am hoping we will not have another 7years in the desert. I’d love to hear some testimonies from people about how this promise has been fulfilled in their marriage. I’ve got a chapter in Sacred Influence about a wife spending over two decades slowly leading her husband to the Lord. if money is an issue, I’d be happy to send you a complimentary copy of the book. Just email me at gary@garythomas.com.